The 2017 Horizon Hope winner is Peggy Noble. Congratulations and thank you to all of the well-deserved applicants. 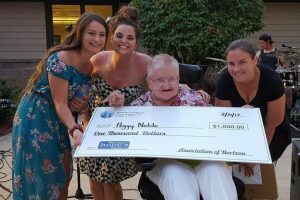 To read Peggy’s winning essay, click here. We are currently accepting applications for 2018! Click here to download the Horizon Hope 2018 application. Please read the entire application and follow the guidelines set. If you have any questions, please contact us at hope@associationofhorizon.org.